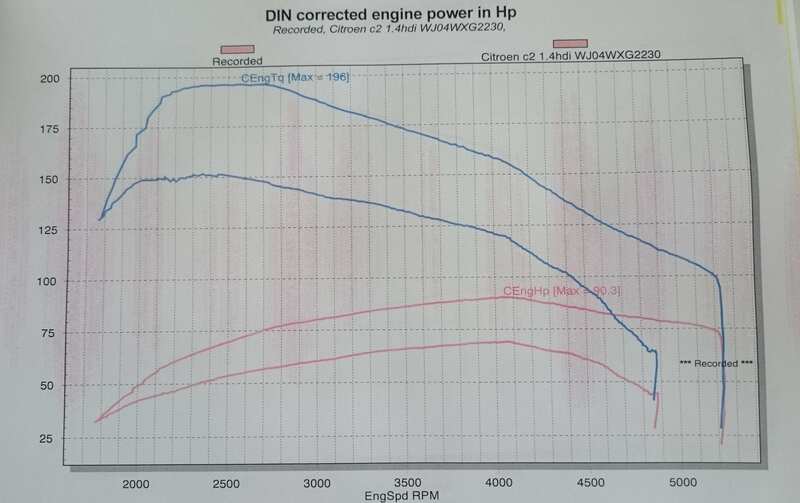 Stage 1 Remap - The Citroen C1 comes from the factory with a much lower power output than other 1.4 HDI models, as the gearbox is rated to a lower torque level. HDI Tuning will take your 1.4	HDI to 90 BHP and 200Nm. Our remap stays within the safe limit of the gearbox, whilst still providing plenty of margin for safety. The torque delivery is smooth and controlled and this is an important factor to look after your clutch and gearbox. The remap will make the car much more driveable; torque is increased through the entire rev range, and the engine will have enough power to pull at higher RPMs also. Thanks to the low weight of the C1 you'll be pleasantly surprised at the responsiveness and power from such a small engine. The stage 1 remap is deisgned to be safe for a standard engine with no modifications.